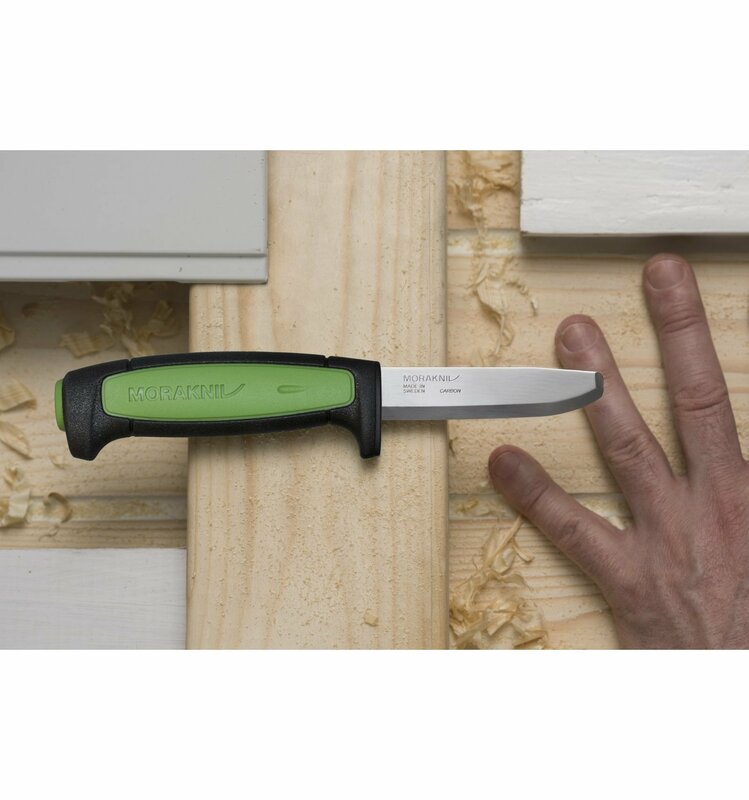 Pro C Safe is a robust knife with a rounded safety tip that prevents stab wounds. It also has an optimized handle made of TPE rubber. 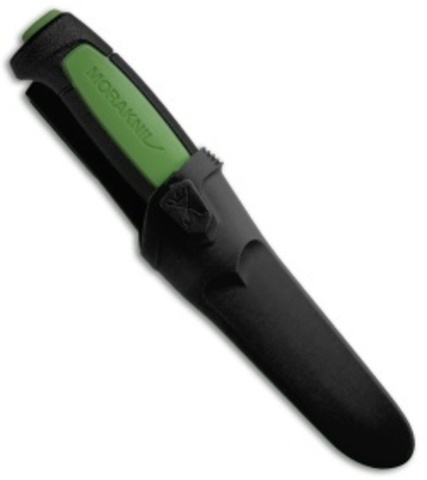 This gives it an ergonomic and more comfortable grip and the rubber means the handle doesn’t conduct the cold. The carbon steel also makes the knife simple to re-sharpen, so you can use it time and time again. Part from the rounded safety tip, Pro C Safe has an optimized handle made of TPE rubber. This gives it an ergonomic and more comfortable grip and the rubber means the handle doesn’t conduct the cold. The solid finger guard also increases the safety and makes sure the knife sits even better in your hand. The blade is made of high quality carbon steel that is made in our factory in Mora, according to a secret recipe. The carbon steel also makes the knife easy to re-sharpen, so you can use it over and over again. Just remember that carbon steel can be affected by moisture and corrosive environments. So make it a habit to wipe the knife and oil the blade after usage.